It was a great opportunity to overcome language barrier! The oldest school in Malta with a great experience of more than 50 years offers all year round programs for adults and children. Students' linguistic needs, interests, and aims are most central to NSTS English Language Institute. The school plans the content of the course according to an ongoing needs analysis and in line with students' active participation in the process of acquiring additional language skills. Acquire an all-around knowledge of English when you follow school's most popular course. You maximize your progress, improve your ability to communicate effectively and gain confidence in using the English language. Connect with like-minded, successful people of experience from other countries within a friendly Mediterranean cultural setting and use English as your language of universal communication. Great opportunities to explore beautiful Maltese Islands, their traditions, curiosities, culture and heritage. Boost your confidence and increase your job’s business potential by acquiring a command of English to conduct meetings, negotiations, presentations, write business letters and reports, and increase your vocabulary appropriate to your workplace. 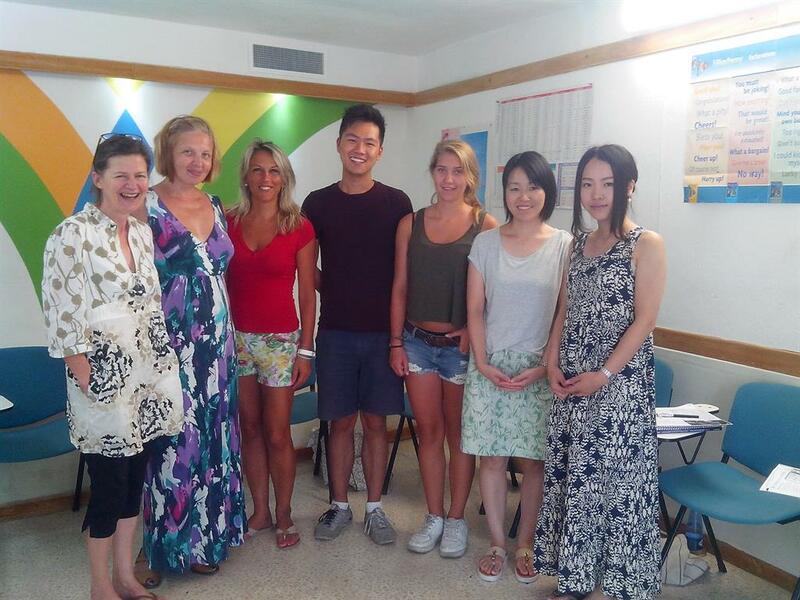 Business English mini-classes of average 3 learners. A2: 20 Intensive General English and 10 Business English lessons. B1: 20 or 30 Business English lessons. The course includes a four-week intensive training program, supervision of experienced teachers and course assignments. Upon successful completion of the course you will receive an internationally recognized certificate CELTA that will help you find a good academic work in an authoritative school. Hibernia Residence on Depiro Street borders the seaside hub of Sliema and the picturesque St Julian’s Bay. Just 250 meters away are the promenade and waterfront jogging path which is a feature of this lovely part of the island. Also within 15 minutes’ walk is the NSTS-English Language Institute. The Residence caters well to adults and young people with all the facilities you need. Accommodation is primarily one and two room studios, for up to 4 persons, with en-suite shower and toilet facilities, a balcony and self-catering facilities. Hibernia Residence is also equipped to welcome persons with special needs. NSTS Campus Residence is located on University Street, Msida, opposite the University of Malta sports grounds and the national swimming pool. Malta’s cosmopolitan Sliema seafront is just 800 metres away, and the NSTS-English Language Institute is a 15 minute walk. A great trip! Big thanks to Linguatrip. Highly recommended. My trip was amazing! It was time full of new emotions and experience.